Biodegradable PVC Cards | 500 Blank White Cards | Same Day Shipping from IDCardSupply! 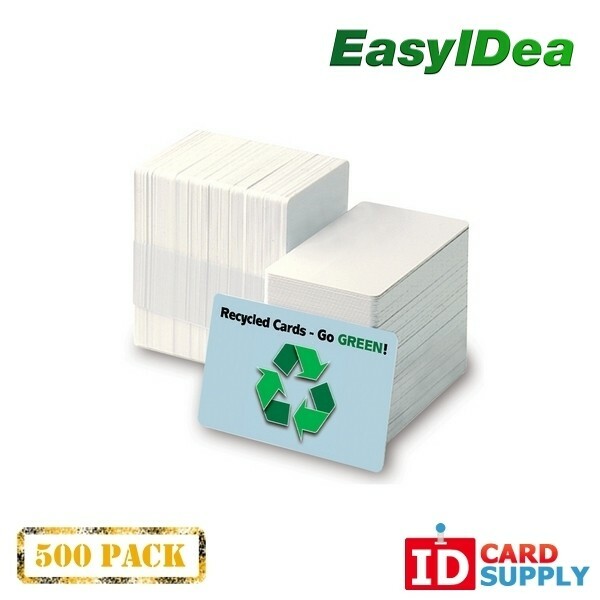 Pack of 500 biodegradable PVC cards, perfect for the environment. When the world is as polluted as it is, why add more to it? There is virtually no difference between these cards and your standard blank PVC cards, except they degrade in 9 months - 5 years when placed in an environment with microorganisms (dirt, trash, soil, etc).